TEST DRIVE: 2018 Lexus LC500 -- Japan's 8 Series Rival? 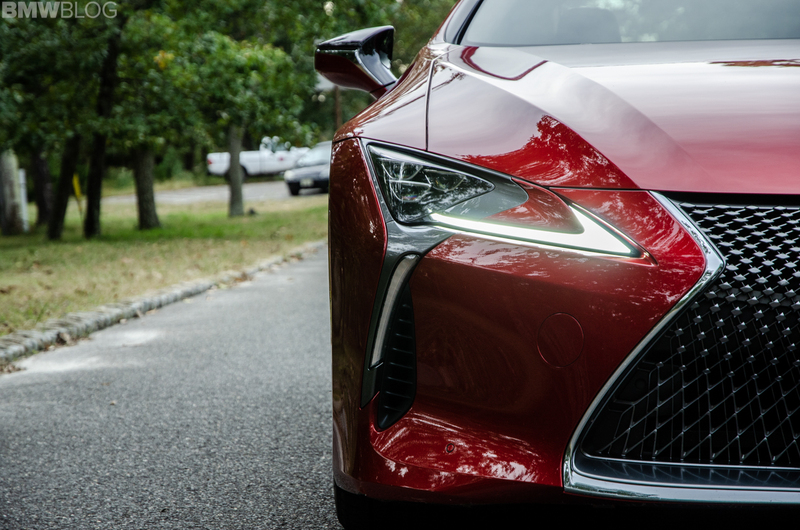 TEST DRIVE: 2018 Lexus LC500 — Japan’s 8 Series Rival? We genuinely work very hard to be as objective as possible. Despite our name, we aren’t fanboys and we understand where BMW’s cars stack up in their respective segments. To do so, though, we need to test drive BMW’s competition. With the new BMW 8 Series hitting the road soon, and it being the first 8 Series in almost two decades, we thought we’d test some of the competition it will be facing when it finally reaches the public. And we started with the Lexus LC500. While a premium brand of its own, Lexus is rarely compared to BMW, Mercedes-Benz or Audi in the press, simply because the Germans typically cater to a different audience. Customers that buy German are often buying their cars with that Teutonic stability, build quality and precision. Customers that buy Lexus are typically buying their cars to be the squishiest, most comfortable, most isolated driving experience possible. The Lexus clientele bases’ average age is about one hundred and twelve, people who keep their teeth in jars at night. So why are we testing a Lexus as a competitor to the BMW 8 Series, the Bavarian brand’s latest sporty grand tourer, a car designed to be able to take you from Munich to Portimao for vacation, hit the track for a few laps, and cruise back? Because the Lexus LC500 is cut from a different cloth than the rest of its siblings. Think baby-LFA rather than two door-ES350. 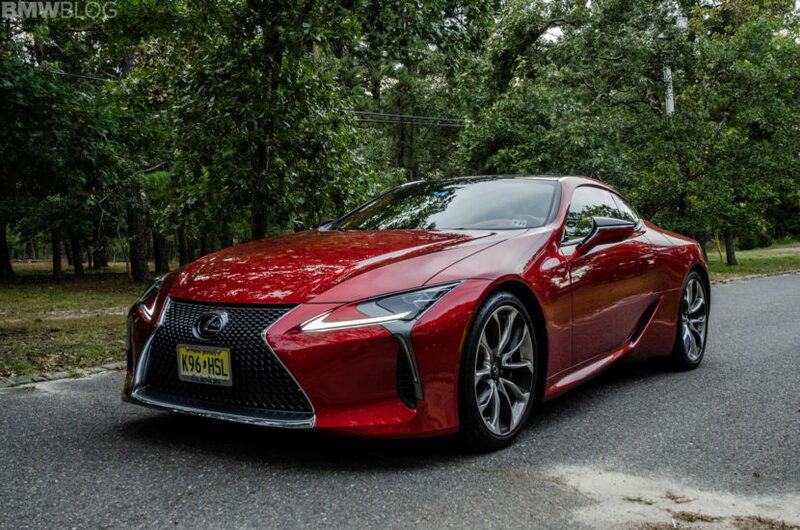 When I first saw the Lexus LC500 in person, it was on a stand at the New York Auto Show a couple of years back. I didn’t like it. In fact, I couldn’t see why everyone else was so gaga about it. I though its proportions were a bit off and that it was just a bit misshapen. But as I saw more of it, it grew on me. And when you can sit back and appreciate some of its styling cues and interesting shapes, it’s really quite beautiful. Admittedly, it’s still odd looking from some angles, like from the front three-quarters, where its proportions seem a bit strange. But overall it’s a fantastic looking car. Especially when you look at it in profile, admiring its striking silhouette. It also looks really good from the rear three-quarters angle, where its roofline and C-pillar are reminiscent of the Aston Martin DB11 (another car that will compete with the 8 Series). There are still some odd styling bits that don’t quite work. For instance, its headlights are far too fussy, with so many lines and shapes that they just look like a mess. They look like headlights by Jackson Pollock, just random lines and splashes. Also, the taillights, while fine looking, stick out a bit from the rear. That in and of itself is not a problem. The problem lies in a silver bit of plastic that sits atop the taillight housings, which almost looks as if it’s been spray painted with the cheapest silver paint possible. It’s scratchy and bubbly looking, completely unfitting of a car as expensive and posh as the Lexus LC500. Aside from those minor niggles, though, the Lexus LC500 is a great looking car and a real head-turner. In fact, there have been few press cars I’ve tested that garnered as many head turns, thumbs up or simple “Hey, nice car!” remarks. It’s also very different, which helps. Nothing else on the road looks like it. One thing I really like about its styling is that it looks Japanese. It’s not trying to be one of the Germans. It’s Japanese and proud of its heritage and I like that. On the inside, things are similar in that it’s striking to look at but has a few niggles. Though, it must be said, the niggles on the inside are far more egregious than those on the outside. First, its design, though. When you first slide into the big, heavily bolstered seats, you immediately notice the quality. From the seats, to the steering wheel to the wiper stalks, everything feels expensive and durable and everything is covered in rich materials. One of the coolest aspects of the interior is the door panel design. The doors feature a tier-like design with so many geometric levels that they really catch the eye. The sweeping Alcantara, the leather upper and lower portions and the long, aluminum door pull are all so expertly sculpted, it’s as if the Vatican had them commissioned. 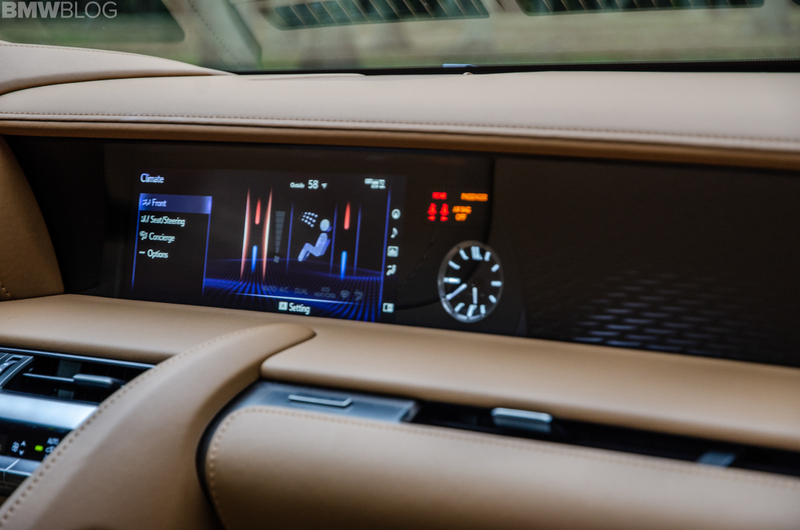 However, there are some real issues with the cabin, most notably with the infotainment system. 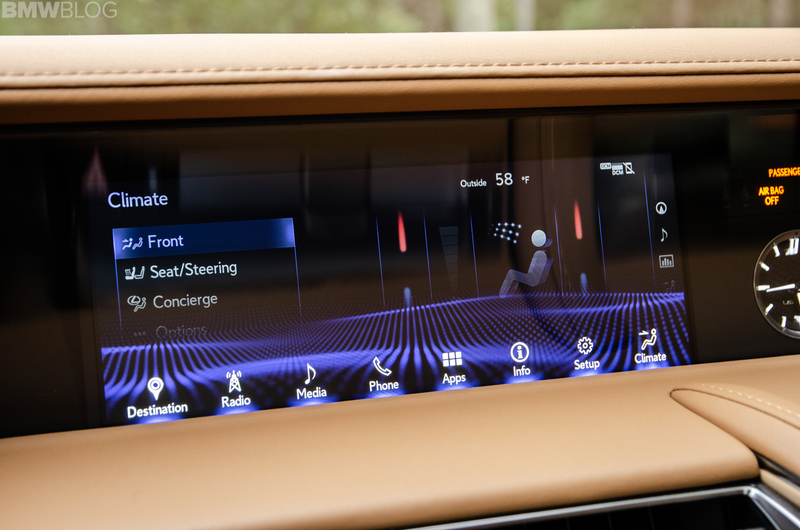 Whatever Lexus calls it, the LC500’s infotainment system is a mess. An absolute mess. Its touchpad controller is sloppy and finicky to use, the screen icons and menus are confusing, convoluted and nonsensical at times (why do I have to dig through three menus to get to my heated seat controls?). It’s the least intuitive, most complicated and frustrating system I’ve ever used. The infotainment system you get in a $21,000 Mazda 3 is far superior and that’s, frankly, unacceptable in a car with a price tag cresting six-figures. Its other interior annoyances are minor. For instance, its gauge cluster, while cool looking, is a bit too fussy, with too much information in too small of a space. Also, the numbers and font are a bit too small to read while driving quickly. 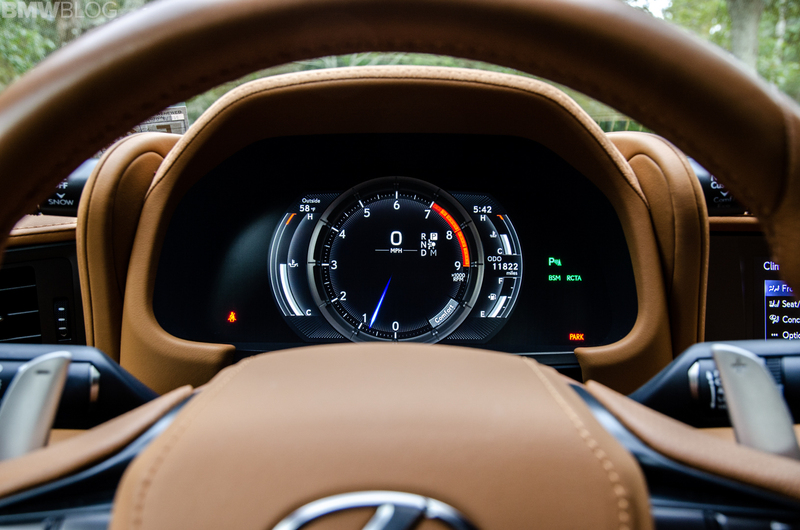 The average Lexus customer can’t read an early-bird dinner menu without holding it to their face, how are they supposed to read these gauges? Oh, and when you put it in reverse, it beeps. Incessantly. Not on the outside, like a van. On the inside. It beeps until you take it out of reverse. Why? I know I’m in reverse, the car is moving backward. Also, the massive infotainment screen becomes a large backup camera. I don’t need a car to beep at me for six minutes straight to let me know I’m backing out of my driveway. Is this Lexus acknowledging its typical customer’s age? Whatever it is, it’s incredibly annoying, though, not a deal breaker. All of these things, both good and bad, fade into the background once you start driving it, though. 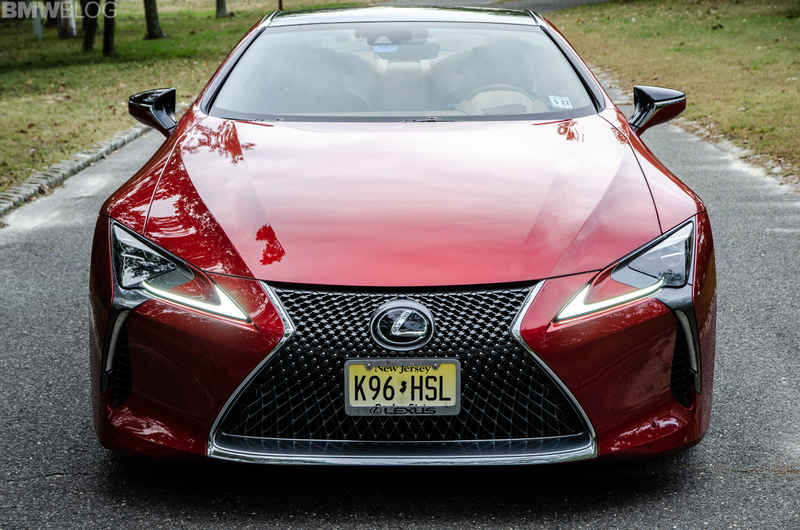 Once on the move (going forward, as it’s impossible to think in reverse with that constant beeping), the Lexus LC500 becomes a genuinely thrilling car to drive and one that surprised me each and every time I drove it. But it all starts up front, with that magnificent engine. It’s a 5.0 liter, naturally-aspirated, all-aluminum V8 and it’s sensational. It had been a long time since I’d driven a naturally-aspirated V8 and I forgot how much I missed it. 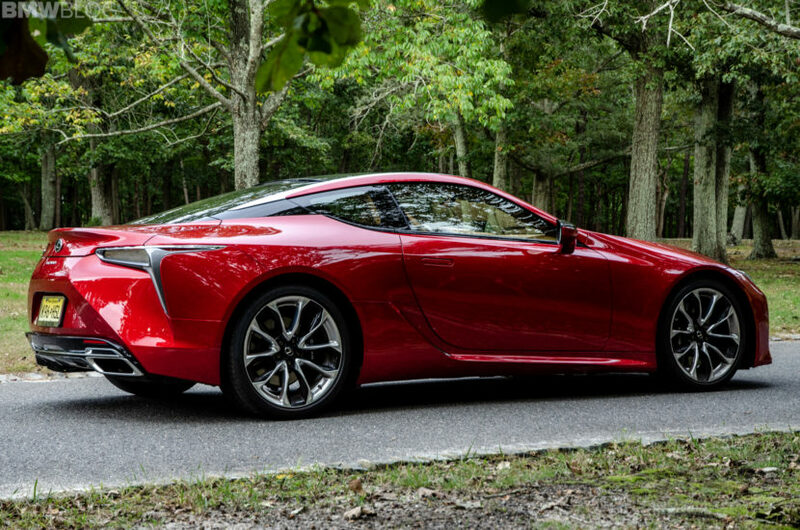 With razor-sharp throttle response, a beautifully linear powerband and a noise like a nitroglycerin-powered chainsaw, the Lexus LC500’s engine is an absolute delight to use. I found myself revving it to its 7,100 rpm redline over and over again, just to hear the noise. The downside of its natural aspiration is that it’s not nearly as powerful as its competitors. With just 471 hp and 398 lb-ft of torque, it’s woefully outgunned compared to the BMW M850i, with its 530 hp and 553 lb-ft of torque. The LC500 can scoot to 60 mph in about four and a half seconds, which is fast but about an entire second slower than the big 8 Series it’s going to compete with. 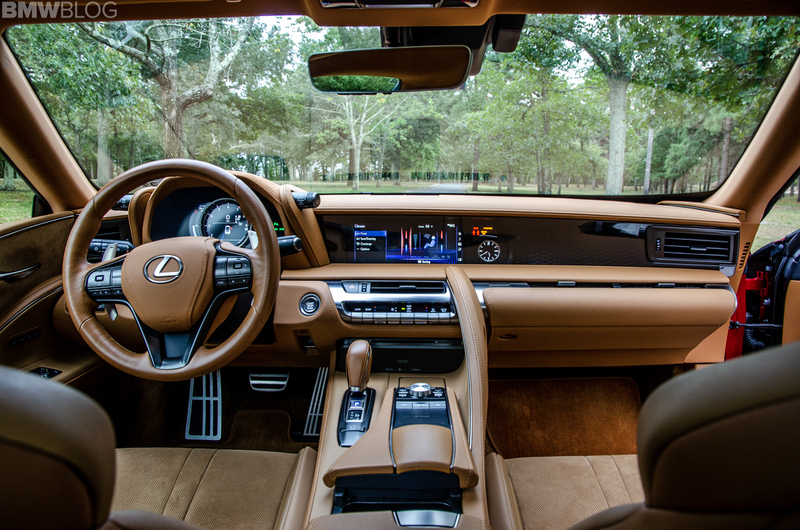 So the M850i will leave the Lexus for dead with a yawn. Still, that didn’t matter while driving it. Never once did I feel it was under-powered, simply because I didn’t care about the speed at which I was going. I just wanted to hear the noise, feel the zing of the engine as it blazed threw its revs, pull a paddle and do it all over again. Sensational. Where the powertrain falls down a bit is in the gearbox. It’s a ten-speed automatic and it’s just not very good. It’s not terrible but it’s not great. It’s just sort of “ehh”. It shifts reasonably fast most of the time but, when left to its own devices, it can be dimwitted and slow in traffic. Also, it can clank on some downshifts when you mash the throttle. It’s just nowhere near as refined, nor as fast and smooth shifting, as the ZF eight-speed automatic that’s become ubiquitous in the industry. What’s mind boggling is that Lexus uses that very ZF eight speed in several other cars. So why not use it here? Is it a case of just having more numbers than its competition? 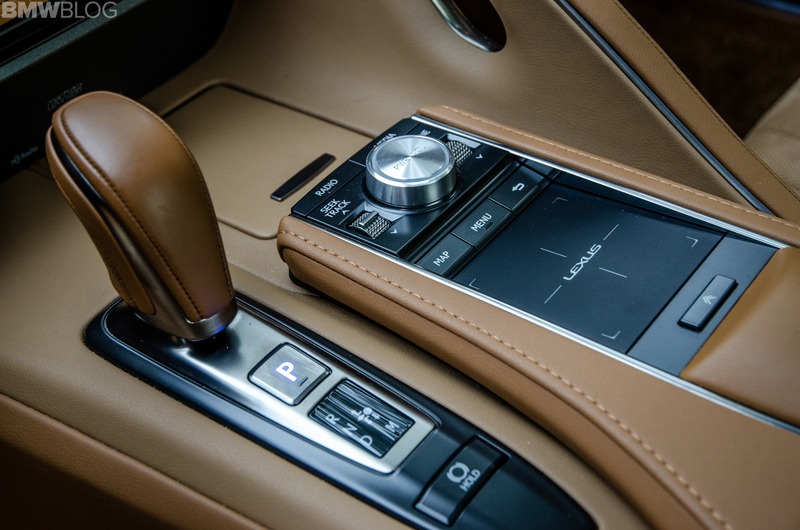 Plus, ten is just too many gears, making it annoying to swap cogs on your own, via steering wheel-mounted paddles. Still, the engine is brilliant, so it isn’t too big a deal. I had known the Lexus’ V8 was great, though. It’s essentially the same V8 the Japanese brand has been using in several cars over the years and it’s always been brilliant. 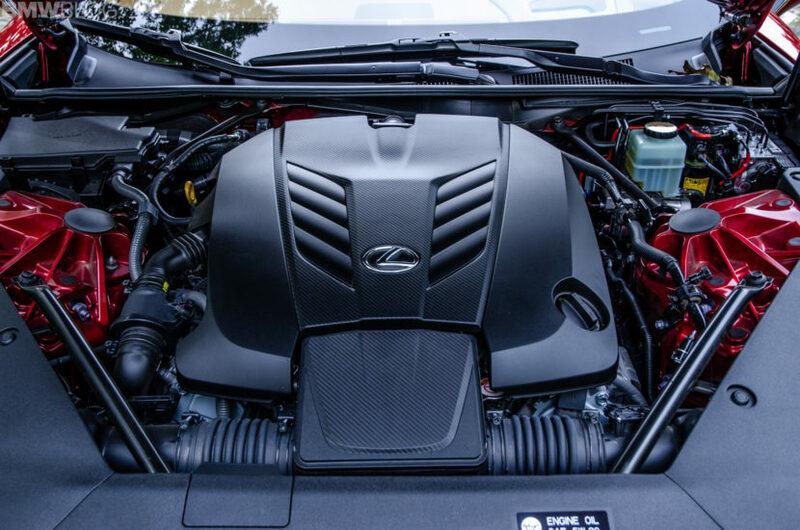 Also, Lexus has proven it knows a thing or two about making an engaging engine with the LFA’s stratospheric V10. What I wasn’t expecting was how much fun the LC500 would actually be to drive. Turn-in is surprisingly sharp, with nice weighting, which builds naturally as you turn the wheel. It’s down on actual steering feel but the steering is accurate and properly weighted, so I was never wanting for feel, nor did I care. I was able to place the big Lexus exactly where I wanted and that’s all I ask. When pushing it hard through corners, you get sharp initial turn-in followed by a bit of safe understeer, the latter of which is easily countered by you right foot. Which was really surprising. A Lexus that’s throttle adjustable mid-corner? Whoa. Weird times. Despite being so playful and fun to drive, the LC500 did get a bit upset with mid-corner bumps. Its suspension is actually really well damped and quite supple most of the time. But its massive 21-inch wheels allowed harsh road imperfections to send sharp jolts through the cabin. Mid corner, this would upset the rear end a bit and send it skipping. So it’s a good road car for some twisty bits but it’s not as composed as, say, a Porsche 911. 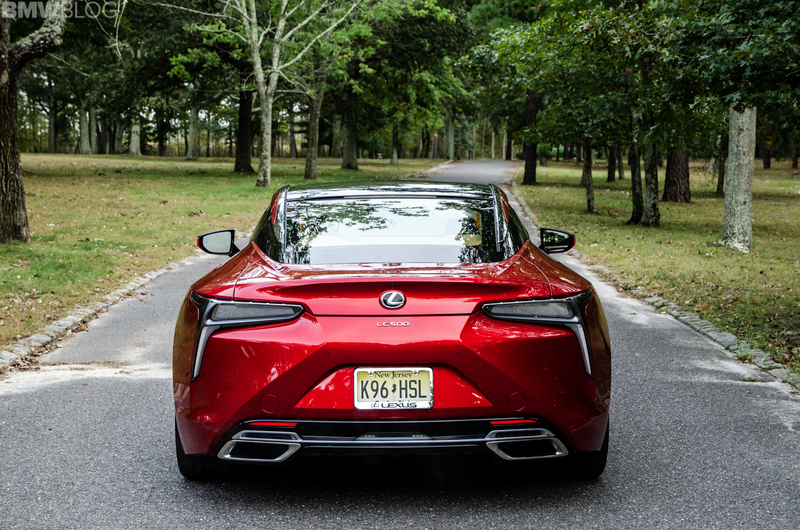 We were only able to test the new BMW M850i for a short time on the road, so we’ll have to get it back on U.S. soil to really find out if it can do better. 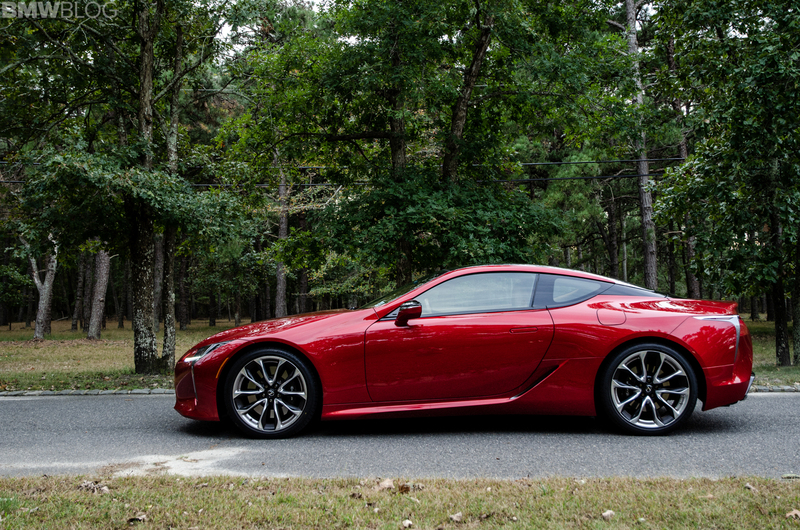 It must be said, though, that the Lexus LC500 is quite a bit cheaper than the BMW M850i. My fully loaded tester rang in at just over $100,000, while the BMW M850i starts at $111,900. 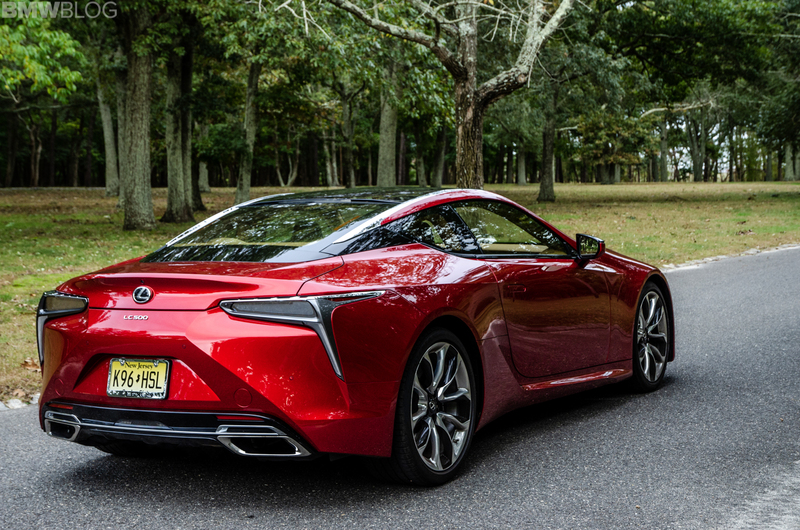 While that’s not a huge disparity at that price point, the 8er can get quite pricey with options, whereas the Lexus is capped out just north of six-figures. Lexus has done a good job, here. 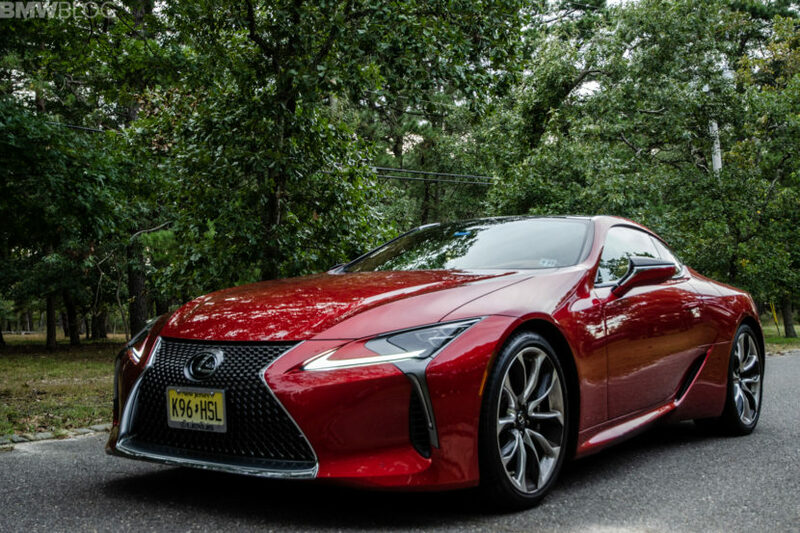 The LC500 is a good car, one that looks like nothing else on the road (for better or worse), has a comfortable interior, handles surprisingly well and has a masterpiece of an engine. It’s not perfect, though, with a sloppy transmission, some annoying interior quibbles and the worst infotainment system I’ve ever used. 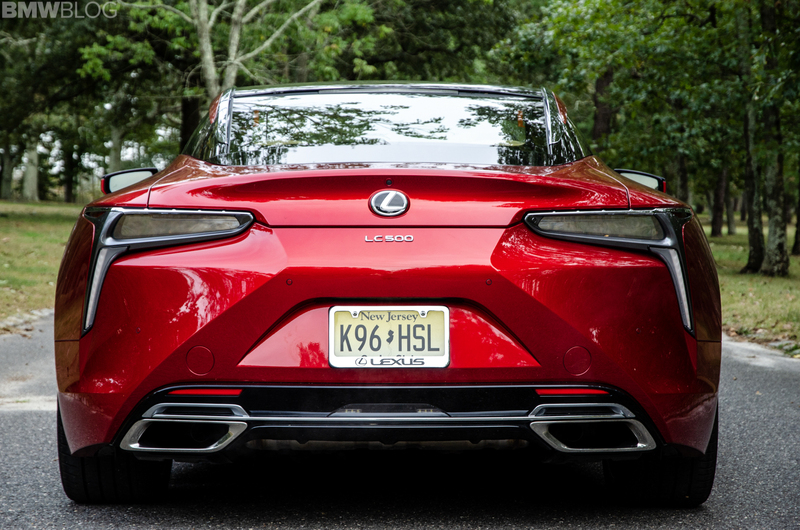 Still, there’s a lot to like from the Lexus LC500 and I can see why customers might want it in their driveway. Is it as good as the BMW M850i? We’ll need a proper road test of that car to find out. But at least we know where one of its competitors stands, as an interesting, exciting car with a lot of flaws.